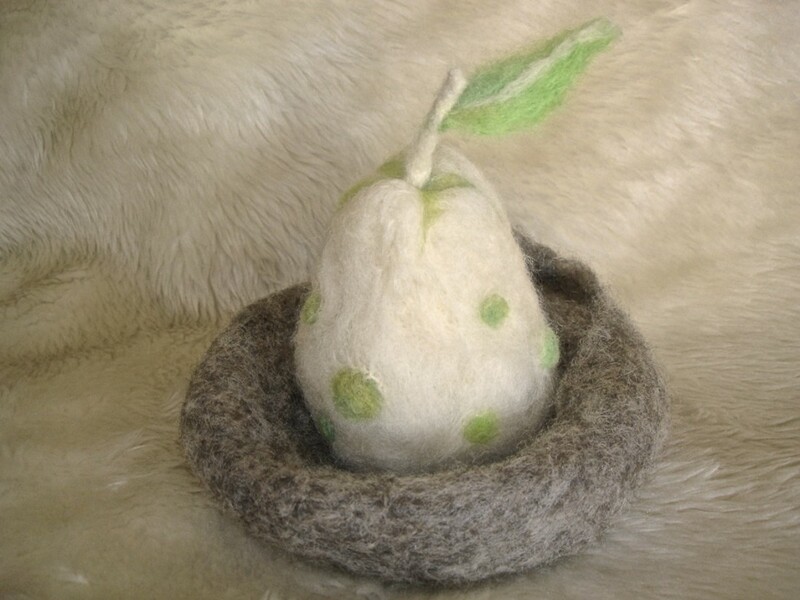 The felt making process really fires my imagination! Fiber art by definition is very tactile and textural and this is one of the reasons why I really enjoy it. 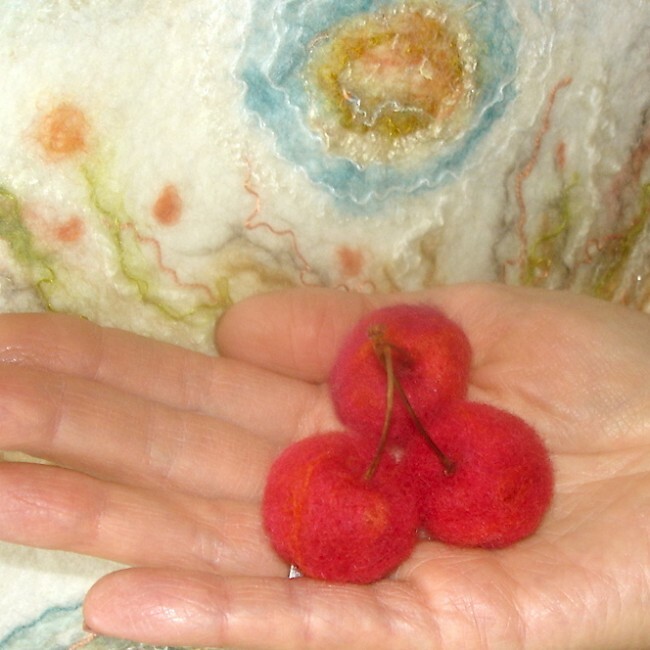 Part of the creative process when felting, I start with a “special moment” for myself meaning that I am moving in a creative mindset which is a mental phenomenon. Brainstorming ideas, engaging and challenging myself and the need to condition my thoughts are all part of it! What do I want, how do I feel, how to express it and with what? 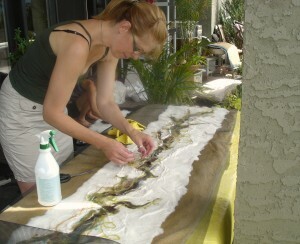 I like looking at everything that can be possibilities to experiment with ideas and explore with materials. 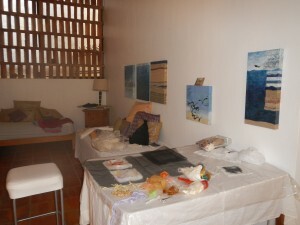 I use a wide variety of materials with textures, forms and colours. I usually spread everything on tables, on the floor around me and move the materials while playing with contrasts and forms. I need to touch, to feel and to observe any details that might influence the whole composition. I like transforming, breaking and cutting in small pieces to create textures, mixing a variety of fibers to get contrasts, applying layers and playing with thickness and transparency to get certain effects. There are no limits, no right or wrong as trying and taking risks are important and essential! Exploration for me is really the most interesting part of the creative process! Nature never ceases to inspire me! Working in the natural light is essential while planning the design and composition. My sketchbook and my photographs are usually beside me as part of my inspirations. While working I make sure that I can see the natural environment from my doors wide opened but usually I do my work in my studio outside. I want to surround myself with what inspires me the most; vegetations and wildness. I am grateful for this little oasis that never ceases to be an inspiration. The Creative Way – I have heard a few times in the past that to be creative is to “let your creative mindset be the way you think and live each day”. To me it is also a process of transformation. It is in a way like meditating which demands a certain concentration. It’s what I call to free our mind and letting things happen with a certain control. Je suis très contente de pouvoir t’entendre ici et de voir tes oeuvres d’art. So good to hear from you. Hope all is well with you and with your beautiful family. 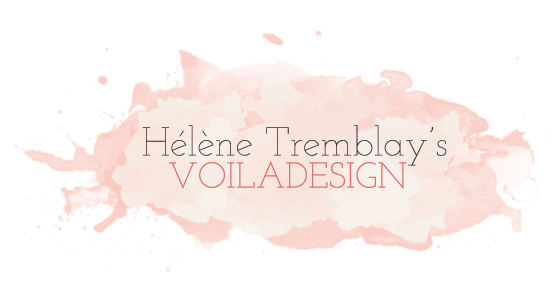 I am happy to see that you will be following me on my blog. That is great! Have you been creating interesting art projects with your children lately? Un petit mot pour te dire que j’ai visité ton blog. Toujours du beau travaille que je voie. J’ai montré tes œuvres à des amis artistes et ils aimeraient bien voir ça en vrai! J’vais installer ton adresse sur le bureau de l’ordi de papa et maman quand je les verrais. Ton frère qui t’aime bien malgré la distance.